Statement: The 2 most important qualities of a Judge in order of importance 1:Fairness 2: Real world experience. Nathan Choi owes no political party or special interest Quid Pro Quo. This is the cause of the current constitutional crisis in our Nation's Capital. Why else does one judge rule in opposite of another under identical written laws? I am a Patriot. My allegiance is to you. 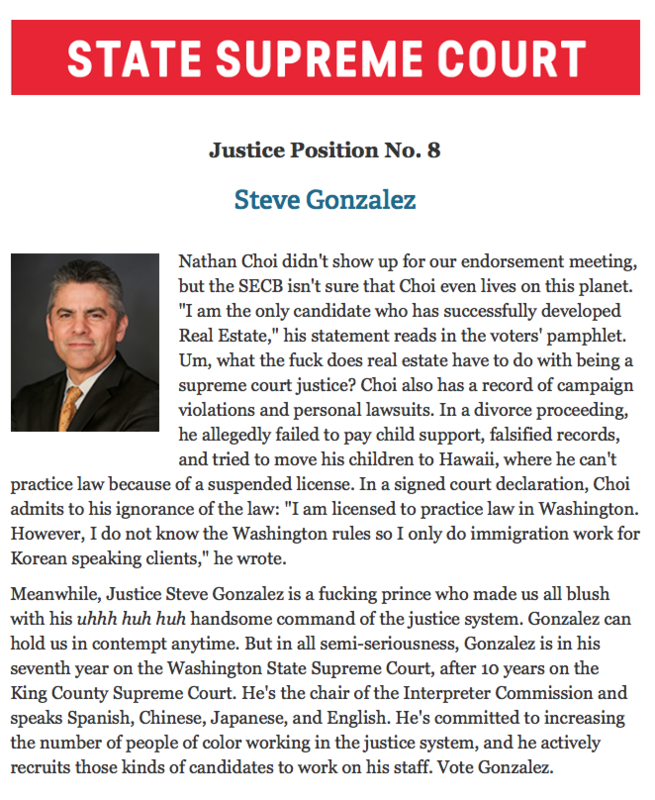 Nathan Choi is the most experienced candidate to resolve current vital issues in Washington. The housing problem can be resolved with proper interpretation and implementation of laws. The Supreme Court is in the special position to interpret legislative laws to positively impact the public. The Judiciary needs Real World Experience how rulings affect developers, business, and the public. I have litigated and developed housing and know exactly how they create or eliminate affordable housing and other legal problems. The Judiciary needs an understanding of economics, tax regulations and the ripple effects of their decisions. I am the only candidate who has successfully developed Real Estate and understands the Macro Economics of legal decisions and will apply the law without bias and for the benefit of the public. Learn more at WAjudicialwatchdog.org.